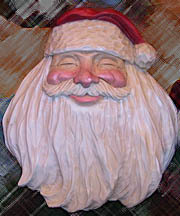 View all of Teri's carvings up close!! 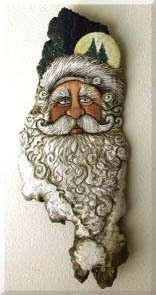 Hand-painted 19" x 15" wooden wreath holder (5" depth of arm holding wreath). 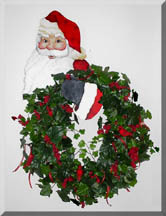 Wreath was created (by Holly) using silk ivy, red berries, red ribbon and 3 cardinals! 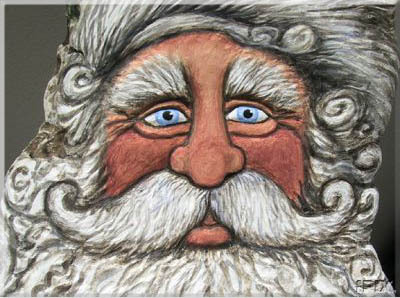 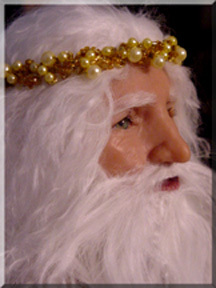 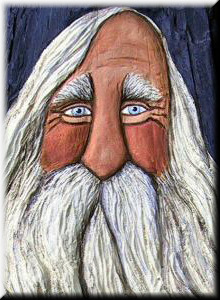 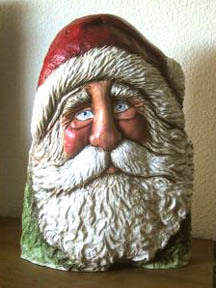 Santas are designed, carved and painted by hand. 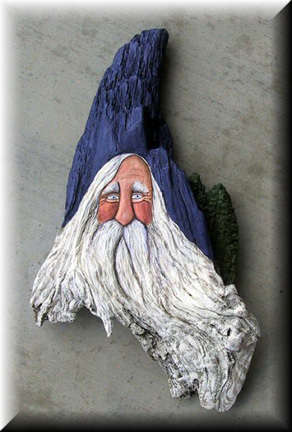 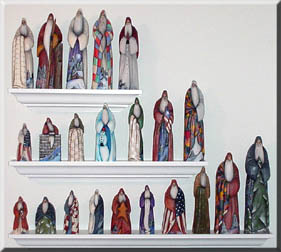 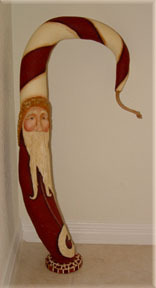 They are carved out of Swedish Alder wood, painted with acrylics and sealed with a satin finish. 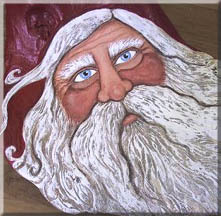 Each original Santa is signed and numbered by the artist. 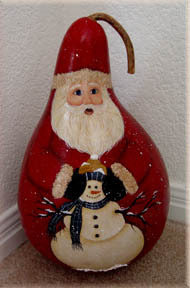 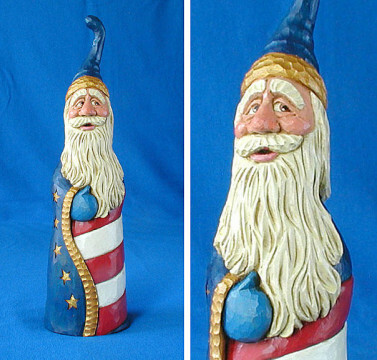 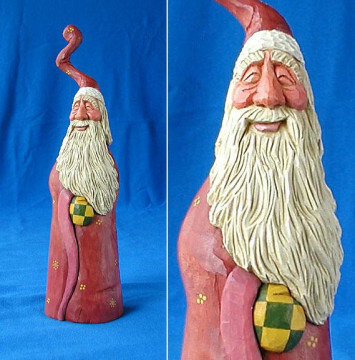 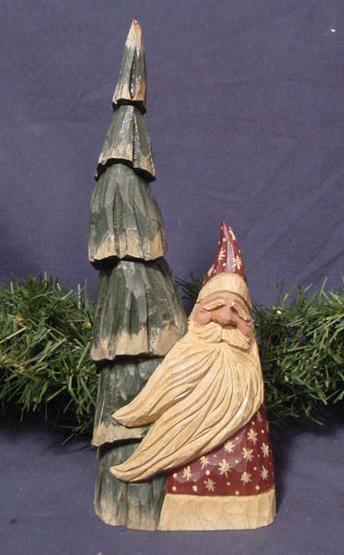 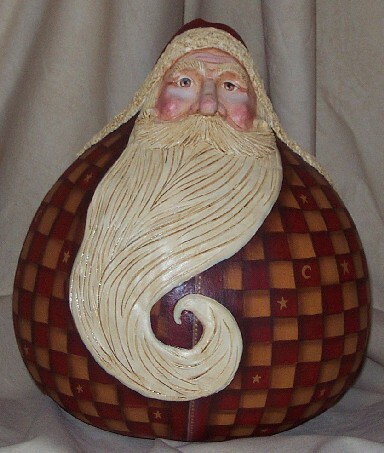 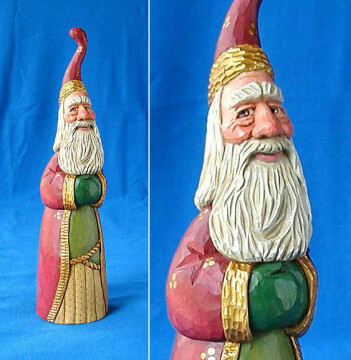 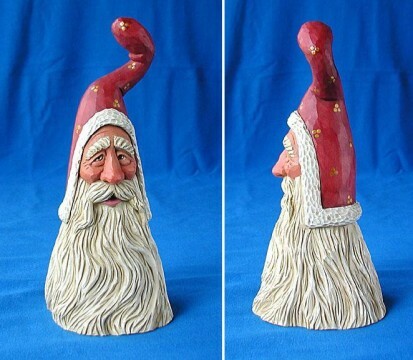 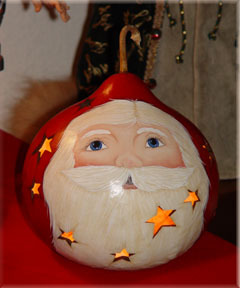 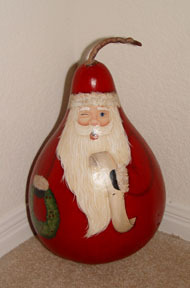 This gourd Santa was hand-painted, and dimensional features were sculpted using air-dry clay. 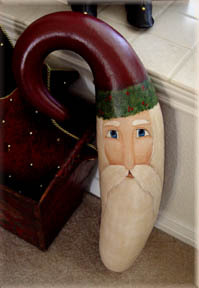 He was lightly stained and sealed with a matte varnish. 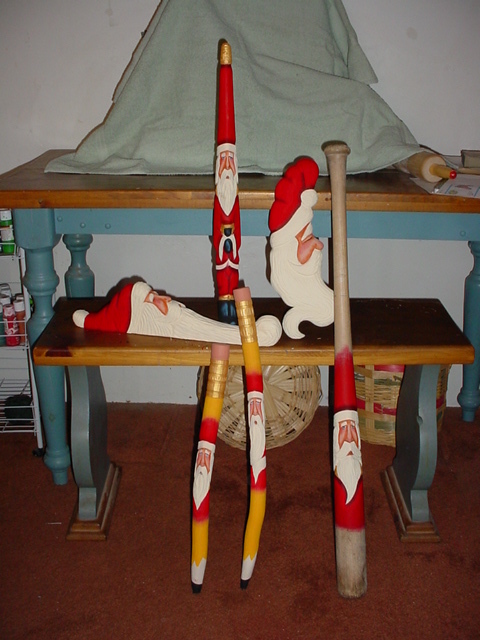 Greg's Santa carvings are made from old antique woolen mill bobbins, 100+ year old cottonwood bark, bass wood, and antique table legs. 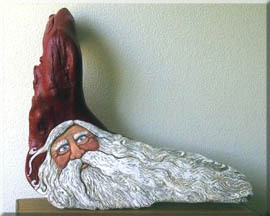 Some are flat-backed (carved as free-standing deep relief carvings).